The agreement to set up a new European patent court specialising in pharma and life science cases has been finalised, putting it on course to be up and running from 2015. Based in London, the court will create a single destination for companies looking to defend their intellectual property, rather than forcing them to fight their case in each European country as at present. In doing so it should prevent contradictory court rulings on the same issues and, according to the UK government, offer industry a “significant” reduction in the costs associated with patent litigation. Business secretary Vince Cable said: “The decision that London should host this new court shows not only the confidence in our legal sector but also the strength of the UK's intellectual property regime. The CEO of the UK's BioIndustry Association Steve Bates said: “It is great that the Central Division of the Unified Patent Court that covers the pharmaceutical and life sciences industries is to be based in London. This will enhance the UK's pre-eminent position in the provision of legal expertise for European life science intellectual property. The agreement settles the details of the overarching Unified Patent Court, which will have a second specialist court in Munich focusing on mechanical engineering and a Paris-based central court. The agreement is part of a package of measures that will provide a one-stop shop for innovative enterprises to register and protect their patents in the European Union. According to European Commission (EC), it is estimated the plan could save businesses using the patent system in Europe between €150-290m each year. The Unified Patent Court is the third and final element of the EC's 'patent package' and follows regulations establishing a single patent package and its associated language regime, the arrangements for which were adopted in December last year. 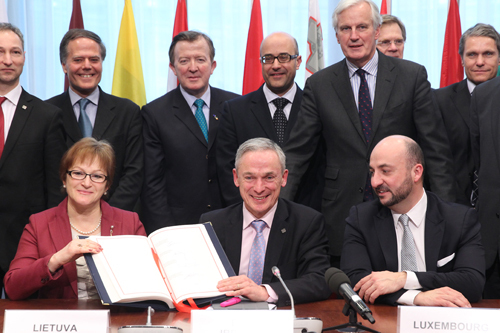 The final stage will be for the agreements to be ratified by Member States' national parliaments, with at least 13 of the EU's 27 members states required to do so if it is to pass into law.